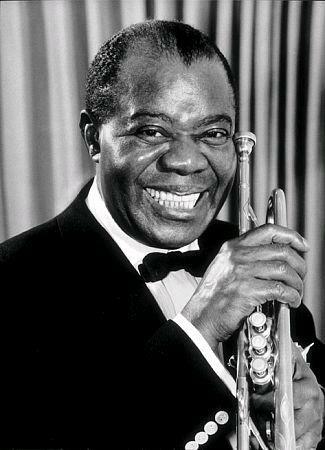 Louis Armstrong was a trumpeter, composer, and singer. He is considered one of the most influential figures in the history of jazz. Composed by Fats Waller with lyrics by Harry Brooks and Andy Razaf, this song was written for the musical "Connie’s Hot Chocolates." Edith Wharton performed the song in that musical to wide acclaim. Louis Armstrong recorded it in 1929, and his rendition became the most famous version of the jazz standard. Although hundreds of artists would go on to record the song, Waller never recorded a version of it himself. Cold empty bed, springs hard as lead Feel like Old Ned, wish I was dead All my life through, I’ve been so black and blue Even the mouse ran from my house They laugh at you, and scorn you too What did I do to be so black and blue? I'm white - inside - but that don't help my case Cause I can't hide what is in my face How would it end? Ain't got a friend My only sin is in my skin What did I do to be so black and blue?